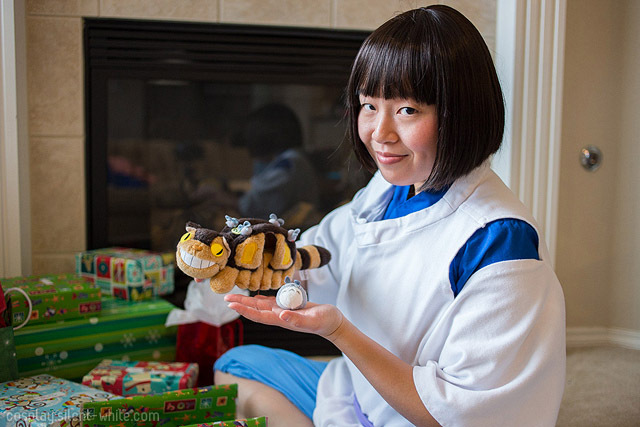 Chihiro is finished now, which means I have two completed Spirited Away costumes! Well, Haku’s wig is still a bit long, but I’m scared of cutting it. It’s so straight and even right now. What if I mess it up??! I haven’t decided whether to give it a trim or just leave it as is. In my last entry, I finished Chihiro’s pants. Now I have her top finished too. 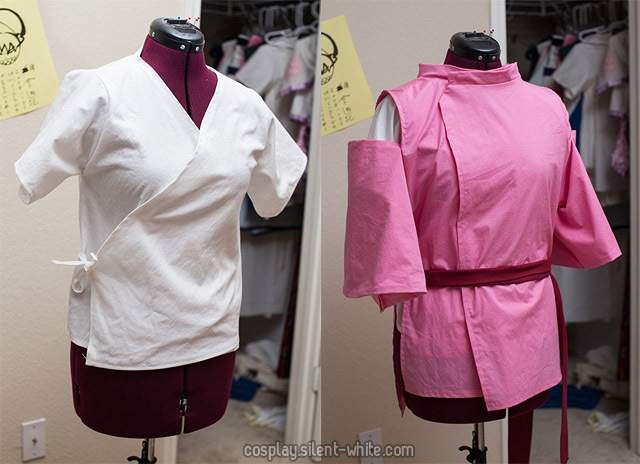 I don’t really have much to say about its construction because I really just used my Haku pattern (top, undershirt) but with a few adjustments. 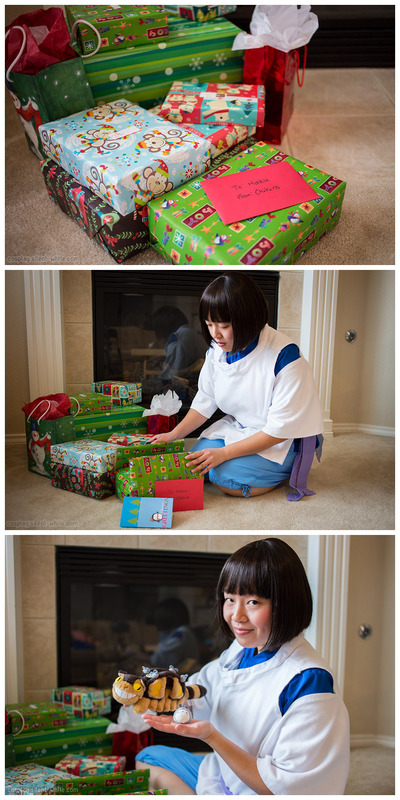 And so, Haku is for me. 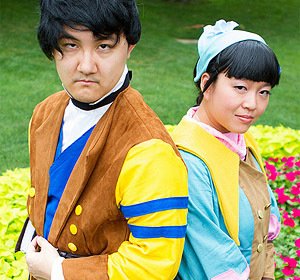 Chihiro is for Jessie. 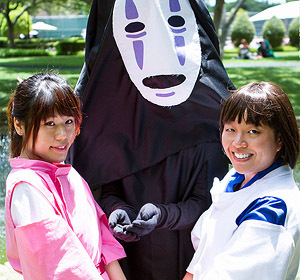 I now have a month left to make a No Face costume for Jack before A-kon. I hope I can make it in time! 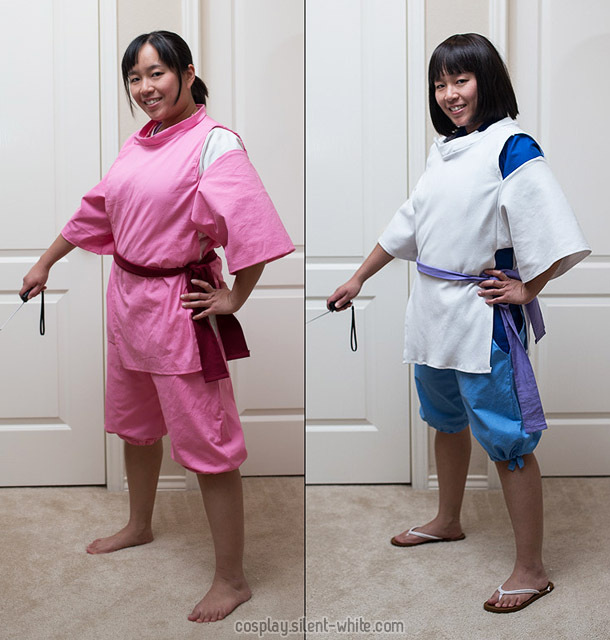 I think I mentioned before that I wanted to re-do some things on my Haku costume. Well, that’s what I’ve been doing recently! I really just wanted to make adjustments to the white top. 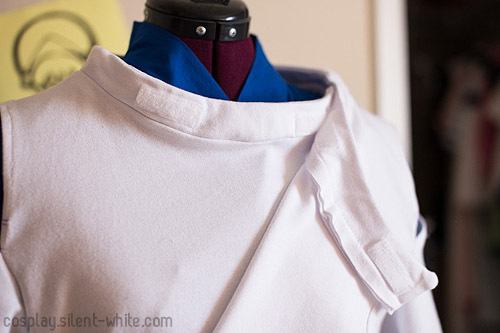 I didn’t make changes to the undershirt or pants, other than using my serger on the inside. Here is what I posted on Instagram when I first started. 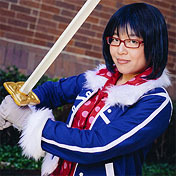 You can see that I was taking apart the collar and sleeves. Some things I just took apart to sew again with better stitches. 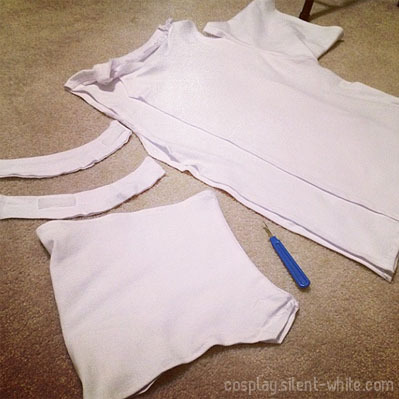 Adjusted the shape of the sleeves and sewed them back on a little differently. I felt the white top was too wide, so I took it in by an inch on each side. Improved the way the collar was sewn on and also added an extra section of velcro.